Need To Sell Your Property Now? We're a locally owned & operated "Residential Redevelopment" company that focuses on buying, rehabbing, and reselling properties all over town. We work on multiple projects per year and if you are seeing this page we're looking for our next property to focus on. We offer amazing customer service, always give you options and can provide you with a Fast Fair Offer for your property within 24 business hours. Our company is made up of real estate investing entrepreneurs who specialize in helping individuals locate investment properties or quickly sell any type of property without paying an agent! Your Florida House Buyer specializes in buying houses in Miami-Dade, Broward, and Palm Beach Counties. We have bought hundreds of properties from homeowners just like you, right here in Florida. © Your Florida House Buyer | YourFloridaHouseBuyer.com All Rights Reserved. 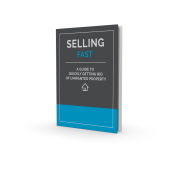 Get your FREE "Guide To Quickly Getting Rid of Unwanted Property."